He pursued his studies at the University of Kolozsvár where he got his medical degree in 1891. He continued his studies as a scholarship holder at the University of Strasbourg in 1897/98 and at the University of Leipzig in 1898. Returning to Kolozsvár in 1899 he became privatdozent in experimental drug efficacy study and pharmacognosial methodology. In 1901 he went on a study trip as a scholarship holder to the Ferenc Károly University in Graz. When he returned, he became senior lecturer of the Institute of Pharmacology, then in 1913 he was appointed professor ordinarius of pharmacology. Between 1906 and 1915 he fulfilled the position of the secretary of the medical-natural science section of the Transylvanian Museum Society. In 1919 he denied the loyalty oath towards the Romanian state, so he had to leave the university. For a short period he stayed at Siménfalva in his land where he pursued medical practice and in 1920 he was invited to Budapest to lead the Department of Pharmacognosy and Toxicology. His research areas were mainly the study of drug effect and toxicology. His studies on the effects of curare and rheumatism are significant. The Hungarian Academy of Sciences elected him a corresponding member on 11 May, 1923. 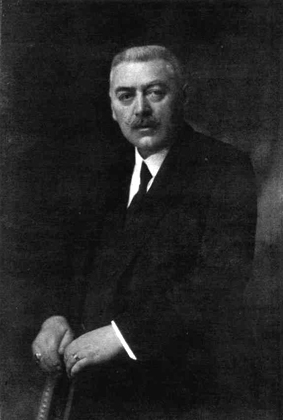 He was dean of the Faculty of Medicine for two years, between 1924 and 1926 and was chairman of the Pharmaceutical Science Company between 1935 and 1943. (Major works: Pharmacognosy /with Géza Nyíredy and Hugó Issekutz/, Kolozsvár, 1895.; Nerve-tee effect examinations with aspirin. Kolozsvár, 1904.; On the effects of urethras. Kolozsvár, 1910.; On stimulation drugs. Kolozsvár, 1911.; Textbook of Pharmacognosy I-II. (with Béla Issekutz), Kolozsvár, 1913.; War and drugs. Kolozsvár, 1915. ).